The people witnessed a rare accident on 4 June in Jaipur. The accident didn't involve two vehicles, but a horse and a car. 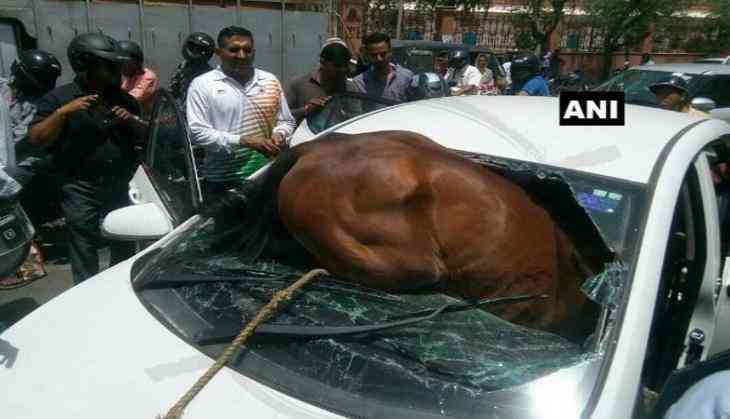 The horse rammed into the car breaking its windshield near Jaipur Club. First the people couldn't understand how to react, but later they somehow rescued the horse and the car driver. Both have sustained minor injuries.